I’ve got two posts for you today, so make sure to check them both out. This one is for day nine in my 12 Days of Handmade Christmas Ornaments series, and the other is for The Silhouette Challenge that I like to participate it. Both are Silhouette projects because you know how much I love that thing! 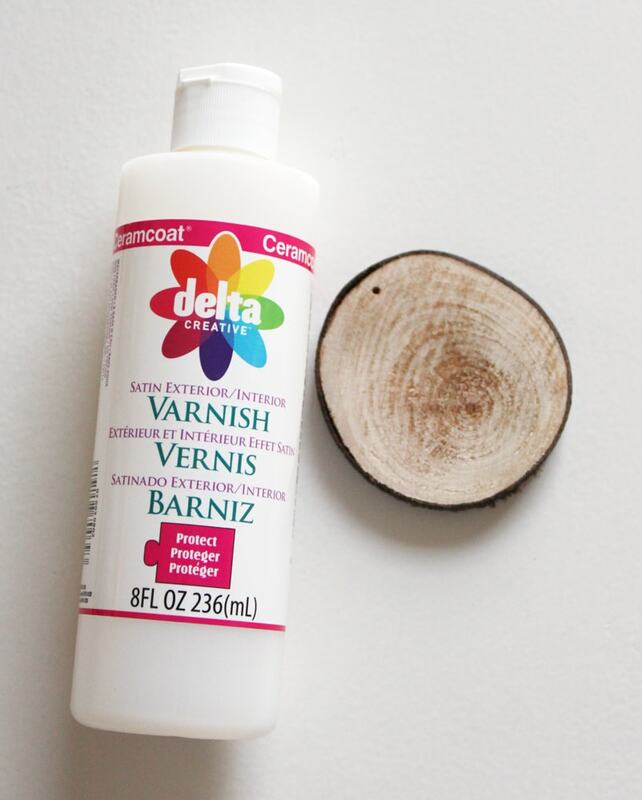 AND there is another AMAZING giveaway on that post that you are not going to want to miss! 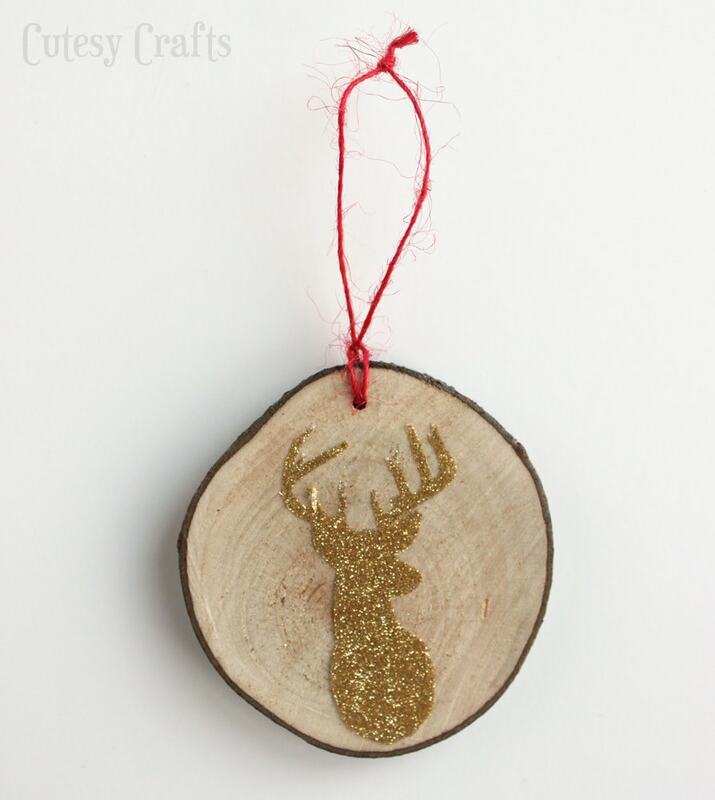 Today’s ornament is a pretty glitter reindeer on a wooden disc. 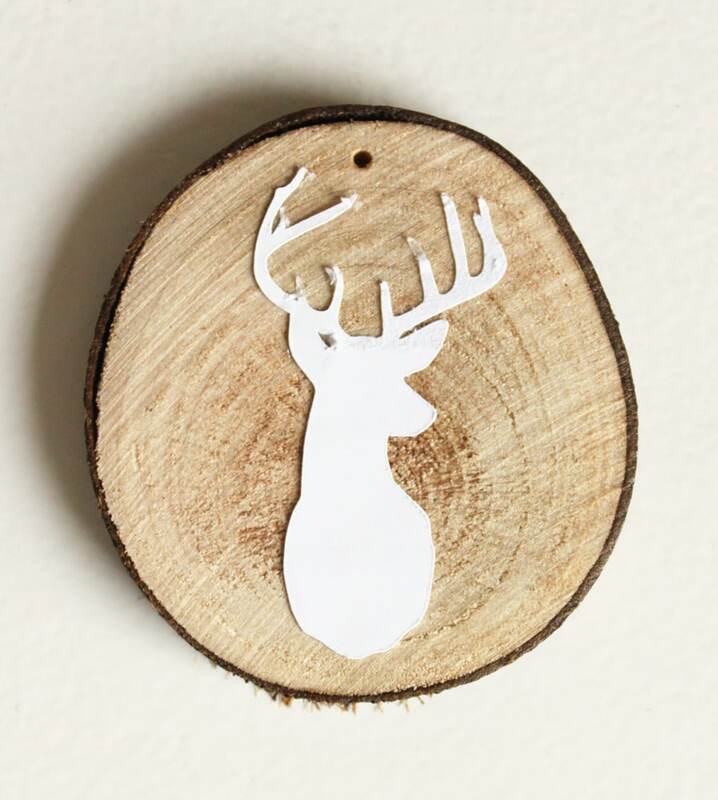 I bought the wooden discs from this Etsy shop. She even drilled the holes for me (so nice!) I tried to find some at the craft store but was unsuccessful. If you see some, let me know. First, I sanded my disc and covered the entire thing with varnish to seal the wood. Let it dry completely. 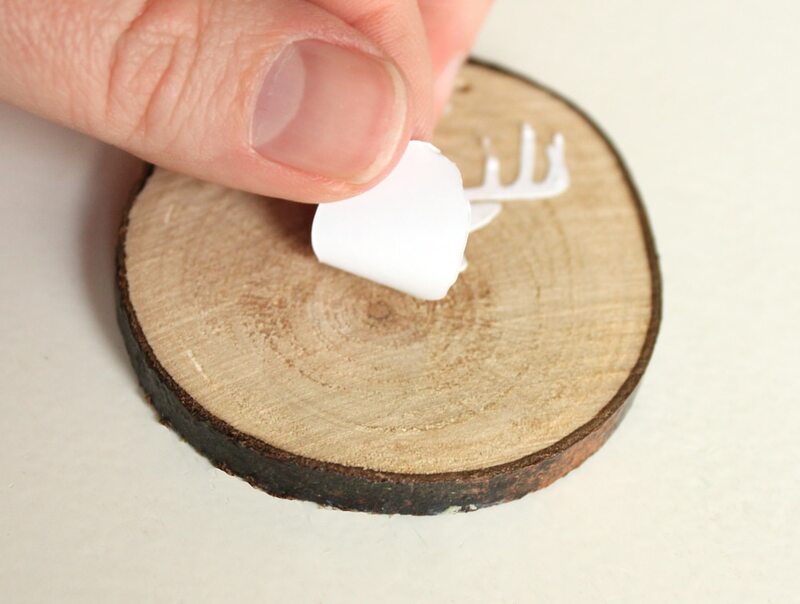 I used double sided adhesive to cut the little reindeer. Sorry, I have no cut file for you. 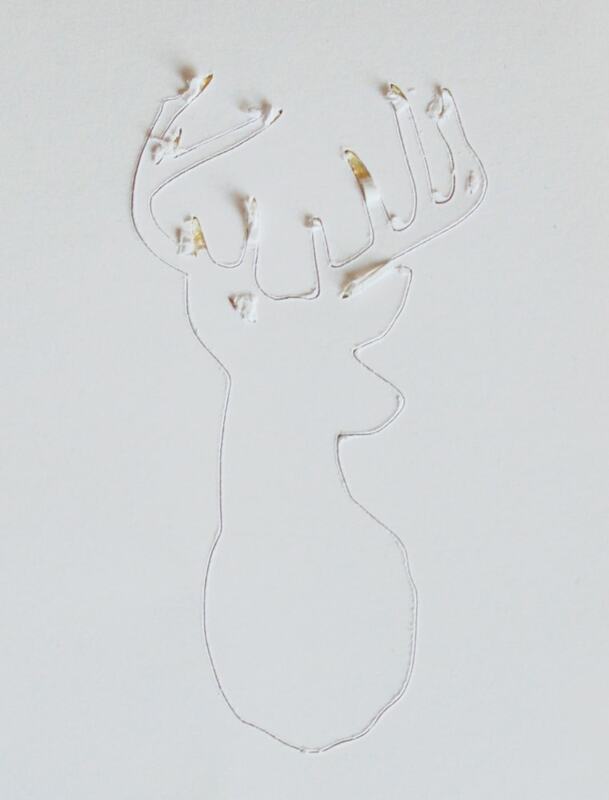 I just googled “deer head silhouette” and used the trace feature on my software to trace an image that I liked. It’s really pretty easy. I had a little bit of an issue with the small details cutting, but that could be due to not replacing my blade in a the whole year that I’ve had my machine. I still made it work. 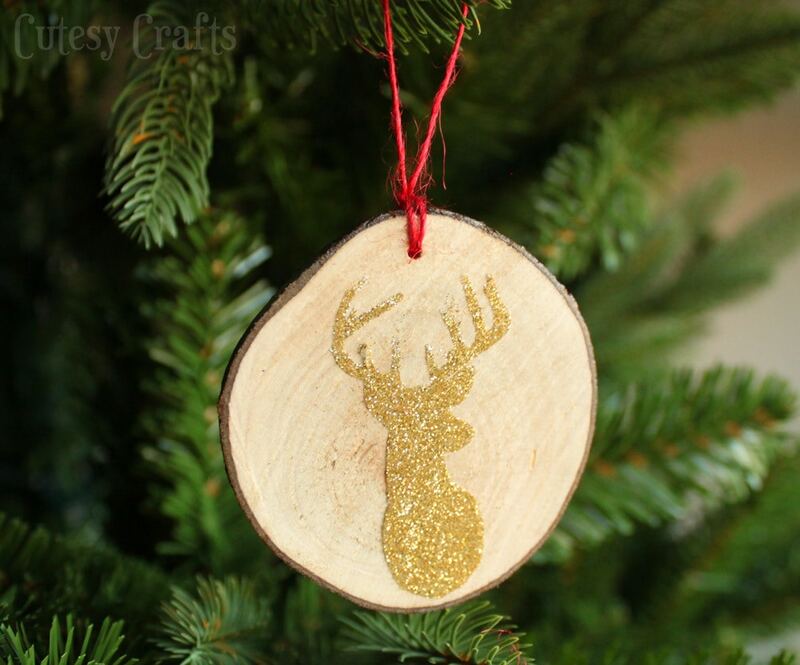 Peel off the yellow backing, place your design on the wooden disc. Now peel off the white paper to reveal the clear adhesive. 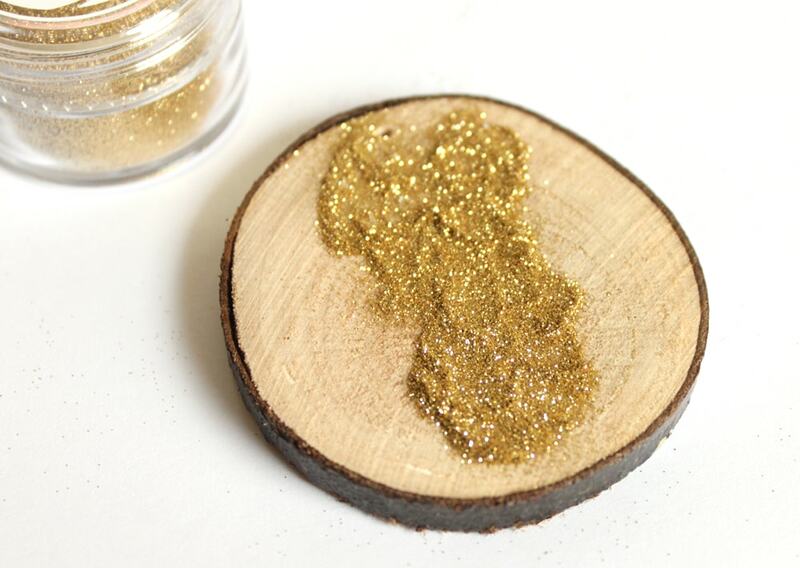 Pour on the glitter, spread it around, and brush off the excess. 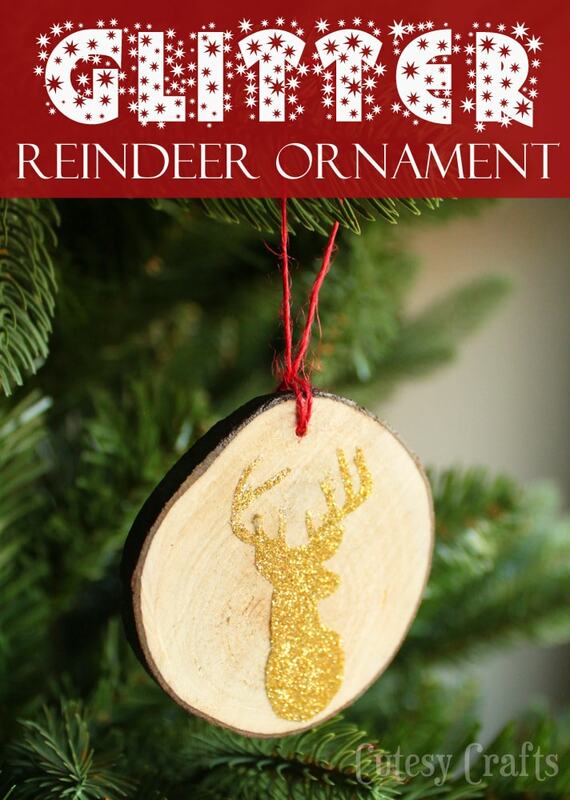 Such an easy and pretty Christmas ornament! 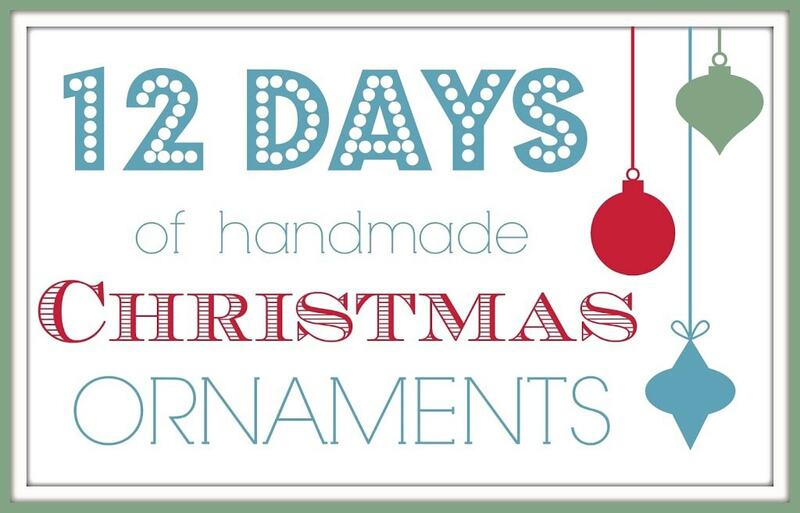 I hope your following along with my 12 Days of Handmade Christmas Ornaments series! Make sure to go back to the first post here and enter the awesome giveaway that I have going on! 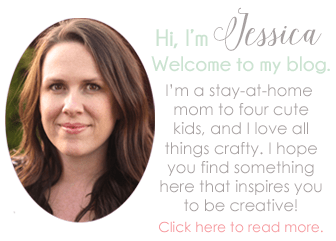 Jessica, I love this!! Super cute!! 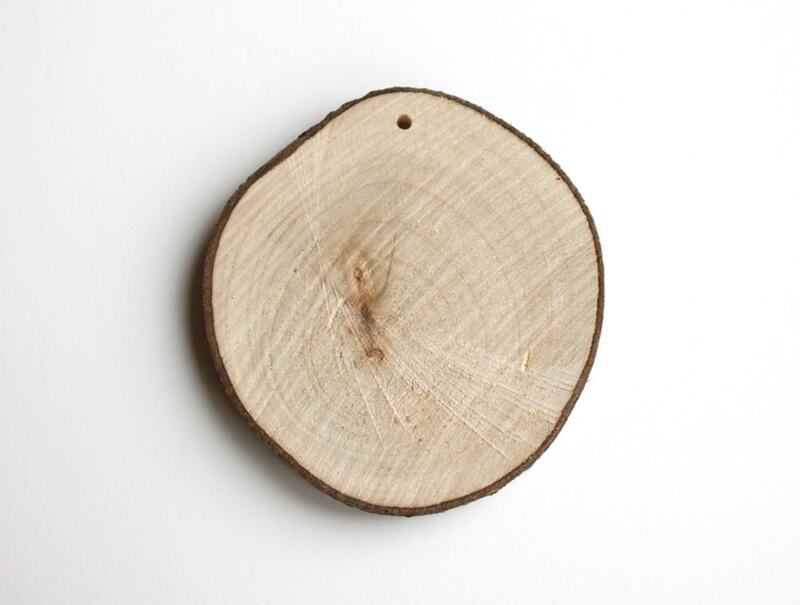 I saw those wood disks at Michaels last week. What?!?! I checked there! My Michaels is pretty small. I probably should have tried a different one. Love the rustic and glam nature of this! Gotta love those double sided stickers! He look like the same deer that I used to make my flocked version. Great minds! Haha. I’ve seen that deer head on a lot of people’s projects. It’s a good one.